If you own a leasehold flat you don’t actually own the building and common areas. That’s owned by your freeholder or landlord to whom you will need to pay service charges, insurance, ground rent and other charges over which you have little control. In this guide we look at two options to break free from this situation; buying the freehold and obtaining the “right to manage”, and what you need to consider. What does buying the freehold mean? Leaseholders of flats have a joint right, with other flat-owners in the block, to buy the freehold of their building. This is known as a right of “freehold enfranchisement” and it means that the leaseholders become their own freeholder. Once you jointly own the freehold, you can collectively set ground rents, shop around for the best insurance and generally be in control of your own destiny. Once you own the freehold you can extend your lease so it is a long lease with the only cost being legal fees. It can be quite complicated to exercise your right to buy the freehold, so many people simply extend their lease and carry on with their freeholder. Am I eligible to buy the freehold? At least half of the total number of flats in the building must be owned by leaseholders who want to buy a share of the freehold – so you don’t need to have all owners on board but you do need to have at least half of the flat-owners involved. If there are only two flats in the building, then both leaseholders must want to buy the freehold. How much does it cost to buy the freehold? There are calculators online but none of them are particularly reliable as there are so many variables involved in estimating the cost. Freehold prices vary in the same way property prices vary but certainly the shorter your lease, the pricier your freehold. The cost of a valuation surveyor to do an accurate freehold valuation so you avoid paying over the odds. Stamp duty land tax (if the purchase price is over £125,000). How can I afford to buy the freehold? If you don’t have the savings to buy the freehold, you may still be able to re-mortgage to cover the cost of buying the freehold – speak to our fee-free mortgage brokers, London & Country, for more information. If you and your neighbours are unable to or do not want to buy the freehold, you may still be able to get the right to manage your block. It allows a “right to manage company” (made up of you and fellow leaseholders) to take over the management of the building themselves or to appoint their own managing agent. But there is no change in ownership of the building – the freeholder still owns it. 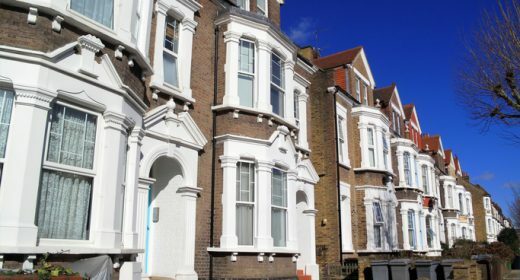 The freeholder is still involved in the block – the freeholder still needs to be informed of lettings and alterations as required under the lease, to deal with lease extensions and can also be a member of the right to manage company. Where do I start if I want to buy the freehold or exercise my right to manage? With either option, you need to get to know your neighbours and gauge their appetite and discuss which option they prefer and could afford. Take a look at our more detailed guide on the process – Step by step guide to buying the freehold or become a member of the HomeOwners Alliance to discuss your particular situation with our friendly HomeHelpline team. When do I ask for the freeholder’s consent to my building works? I haves flat with 980 lease remaining. The flat sits in a building where only have one neighbor-a semi detached house, I.e. the building itself is like a semi detached house, but my part is a flat on first floor, there are three car ports underneath, on car raking space is mine. As I saw that a building need to at least have 2 flats to consider to buy freehold. Is that mean my flat is impossible to buy free hold? Hi Bob, This does sound odd. When you purchased your freehold, were there any restrictions or covenants? You may find the assistance of our Home HelpLine and Legal Advice Line useful if you decide to become a member of HomeOwners Alliance. See here for further information – https://hoa.org.uk/services/join/. I purchased the freehold on my coach house apartment in 2017. I want to insure the building myself but the management company who look after the estate where i live tell me they still have to insure the building and charge me for the premium. Is this correct? They insist it’s in the terms of my lease but surely this relates to the apartment when it was a Leasehold apartment. Everyone i have told this story to can’t believe i can’t arrange my own insurance. If i am the freeholder and own the building outright what interest is it of a management company to insure it. All advice welcome. Check your lease which sets out the ground rent. You don’t have to pay ground rent unless your landlord has sent you a formal, written demand for it. They can take legal action if you don’t pay after you’ve received the demand and unpaid ground rent can be recovered going back 6 years. For more information go to https://hoa.org.uk/advice/guides-for-homeowners/leaseholders-charges-what-to-know-before-you-buy/ and https://hoa.org.uk/advice/guides-for-homeowners/i-am-managing-2/should-i-extend-my-lease/service-charges-and-maintenance-companies-problems-with-your-leasehold-property/ Do get in touch with us at hello@hoa.org.uk if you need more help. How do I find out if I am paying the proper ground rent. Hi Angela. Your share of freehold property includes a long lease in your name as well as sharing ownership of the freehold with the the leaseholders of the other flats in the building. I assume you want to extend the term of your long lease. As you don’t have a third party landlord, you just need to agree the terms of this with the other flat-owners. But, even if there are no tough negotiations, it’s hard to avoid using lawyers as you will need someone with lease experience to draft the new long lease and to register it at the Land Registry. You can chat to a lease extension solicitor via our website here. I would like to know how I could extend my ‘share of the freehold’ flat? As far as I am aware, everyone that is a freeholder owns the property in perpetuity, so it is just a case of a legal document to increase to 999 years. How could i do this without the cost of a solicitor? Many thanks.